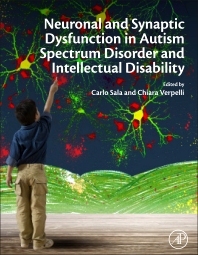 Neuronal and Synaptic Dysfunction in Autism Spectrum Disorder and Intellectual Disability provides the latest information on Autism spectrum disorders (ASDs), the lifelong neurodevelopmental disorders that present in early childhood and affect how individuals communicate and relate to others and their surroundings. In addition, three quarters of ASD patients also manifest severe intellectual disability. Though certain genes have been implicated, ASDs remain largely a mystery, and research looking into causes and cellular deficits are crucial for better understanding of neurodevelopmental disorders. Despite the prevalence and insidious nature of this disorder, this book remains to be an extensive resource of information and background on the state of current research in the field. The book serves as a reference for this purpose, and discusses the crucial role synaptic activity plays in proper brain function. In addition, the volume discusses the neurodevelopmental synaptopathies and serves as a resource for scientists and clinicians in all biomedical science specialties. This research has been crucial for recent studies that have provided a rationale for the development of pharmacological agents able to counteract functional synaptic anomalies and potentially ameliorate some ASD symptoms. 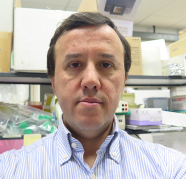 Dr. Carlo Sala is a Senior Researcher at the Neuroscience Institute within the National Research Council of Italy, and is also affiliated with Department of Biomedical Science and Translational Medicine at the University of Milano. He has previously edited a Synaptic Plasticity volume for Springer, and is author and co-author of over eighty peer-reviewed papers published in international scientific journals in the field of neuroscience. His laboratory is interested in understanding the function of various proteins which regulate neuronal synapse formation and plasticity, and their association with ASDs and intellectual disability. Among other valuable research contributions, his research group was the first to connect synapse function to mutations in SHANK genes, which are one of the most common genetic causes of autism. 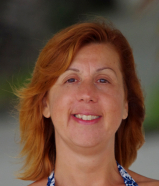 Dr. Chiara Verpelli is affiliated with the Neuroscience Institute at the National Research Council of Italy, and is also affiliated with Department of Biomedical Science and Translational Medicine at the University of Milano. With interests in chemical and pharmacological technology as well, she has co-authored multiple papers in high-impact international scientific journals. Her research focus is to understand the genes involved in synapse development and function, and more recently the use of patient-specific stem cells to study neurodevelopmental diseases including ASD and intellectual disability.